They are not required to know how to swim. They are not required to know cardiopulmonary resuscitation (CPR). They do not know the dangers of waterways or undercurrents. They want to avoid complaints for not allowing you to do what you want. They’re looking to get fat tips by not restricting you so much and giving you more thrills. Some of them find their regular pay to be insufficient. Meanwhile, people continue to be in danger under this guide, this company and this wholly inadequate system! At 2am, Friday, 20th of September, Sydney time, NSW Police knocked at my door to deliver the shocking message of Nina’s drowning. They asked me to contact DFAT which confirmed it. On Monday, the 23rd of September, her family and I flew out to Kathmandu with the primary intention of finding out exactly what had happened. With the help of Australian Embassy officials, we were able to progress our agenda. In this week long trip, we had a chance to meet the trekking leader in charge of Nina’s trek: Binod Pokharel. We met the manager of the involved trekking agency: Chet Prasad Bhatta from Advanced Adventures Nepal. We spoke to the attending police officers from Pokhara. We retraced Nina’s steps at the incident site with Binod Pokharel. We also talked to some locals that were involved in the incident. Binod allowed Nina to swim in a dangerous location. Binod claims not to be able to swim himself. Binod claims that Nina invited him to join her, but cited #2 as the reason to decline. Binod is not familiar with the dangers of waterways. Binod is not trained in cardiopulmonary resuscitation (CPR). The local villagerss knew it was a dangerous location and stayed well away from those waters. Binod claims he thought it was safe. A) How and why would licensed a trekking guide – who is endorsed by The Nepalese Government – put his client in a risky situation that he himself is not prepared to be in? B) How and why would someone who is not able to swim be licensed by The Nepalese Government as a trekking guide? C) How and why would someone who is not familiar with the dangers of natural waterways be licensed by The Nepalese Government as a trekking guide? D) How and why could someone who is not trained in cardiopulmonary resuscitation (CPR) be licensed by The Nepalese Government as a trekking guide? E) Given that Nina had died under the supervision of Binod Pokharel, why has he not been immediately suspended pending an official investigation and review? F) The local villagers knew to stay well away from that spot, especially at that time of year. Why didn’t a licensed trekking guide have this knowledge? This was not the first time that Nina had gone trekking in Nepal. She had previously gone with the same trekking company on The Everest Basecamp trek – but with a different guide. 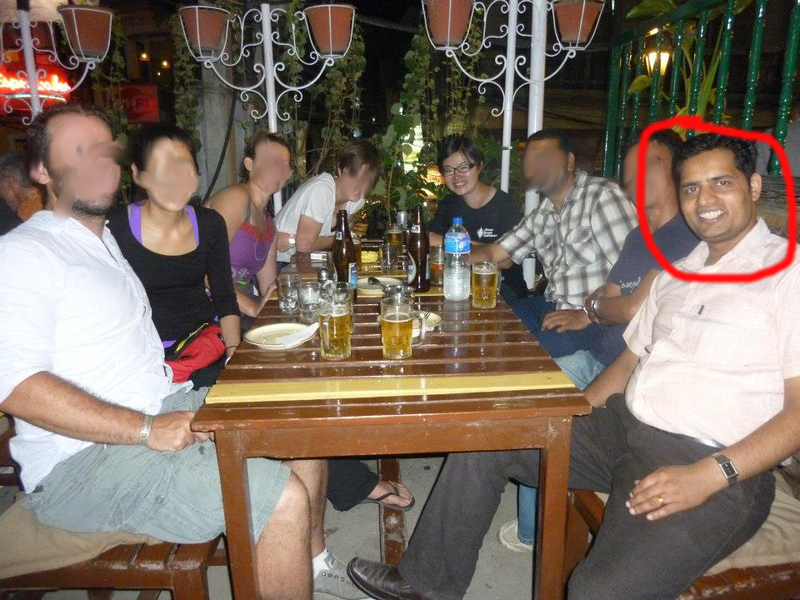 Chet Prasad Bhatta, the manager of the trekking company had befriended Nina. She trusted Chet and this company. In our conversations with him, Chet would proclaim that he hadn’t lost a customer, he had lost his friend. But what a shallow friendship it was. There is no acknowledgement of this incident on their website nor their Facebook page. Not a single word of sadness, no farewell, as if Nina never existed. What I find utterly outrageous is this man constantly proclaims and promotes his company’s professionalism. Yet he can find no fault in his current operations and consider this incident an unavoidable accident. Yes, trekking is inherently dangerous – but this did not involve any act of god. There was no earthquake, there was no avalanche, there were no sudden storms, there was no tsunami. This incident occurred because a licensed trekking guide allowed his client to get into a risky situation and was ill-equipped to handle the consequences. Indeed, in all our meetings with him, he would constantly be interrupted by phone calls and text messages. He is meeting the family of a client that has died and he does not even have the common courtesy to shut down his phone! This is not the conduct of a professional. From the CEO of Trekking Agents’ Association of Nepal (TAAN) right down to the porters, it is common knowledge that guides are eager to please their clients in the hopes of getting tips. So much so that they compromise their safety! 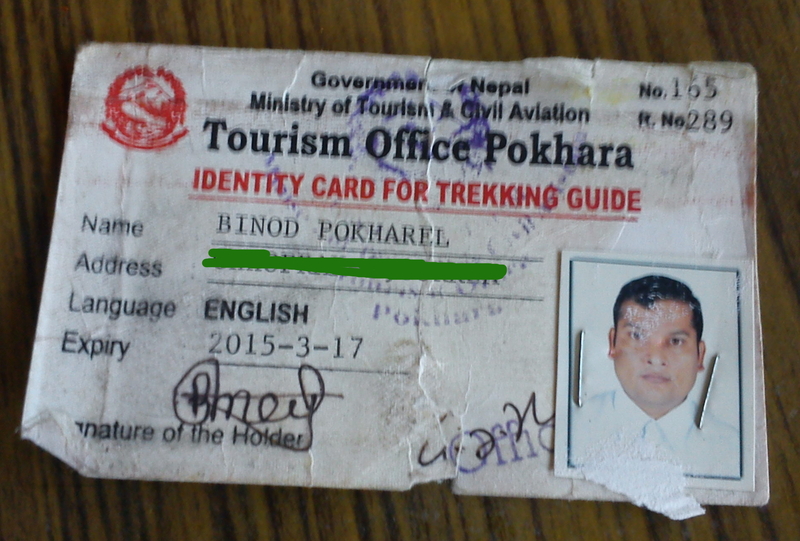 It is my very strong opinion that Binod Pokharel was one such unscrupulous trekking guide. Nina, while strong willed, respected authority. She would never have swum there at the slightest suggestion that it was dangerous. Nina actually wanted to swim further downstream from the falls, where they saw children swimming. 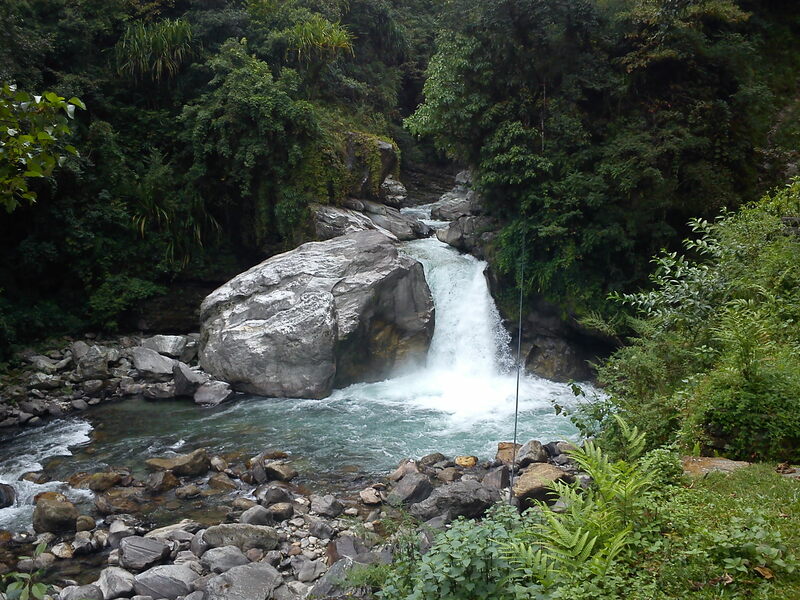 But Binod suggested going to the falls. Perhaps it was because it was more visually impressive. Perhaps it was because it was more accessible from the trekking track than the original site. It is my belief that in this instance, Binod compromised Nina’s safety thinking that it would increase his chances of getting a tip. I spent a long time with Binod Pokharel. Nina was not the only client he’s put at risk. He even had the gall to claim that he rescued them! If you have your own stories of risky operators in Nepal, please drop me a line. Maybe we can start some sort of movement. Or if there already is one, let me know so I can help out. Please, if you know anyone who is thinking about trekking in Nepal, tell them about this tragic story. Nina had so much to give to this world. She was set to take up a year long post as an Australian Youth Ambassador in Mongolia last October. Yet she was cut down in her prime, simply because she trusted someone who turned out to be incompetent. Something is very wrong with the Nepalese trekking industry. Something has to change! It would be an utter travesty if this were to happen to someone else. Update, 18 Nov 2013: Changed title from “Warning: Nepalese Trekking Guide Cause Death”. Update, 24 Nov 2013: Added concern “F”. Added fact point #6. Update, 26 Nov 2013: Chet has contacted me about a safety page on his company’s website. Note the line: “CPR Course: After identifying the need for it, plans are on line to provide basic CPR course to our guides.”. This entry was posted in Contemplations and tagged Danger, Nepal, Nina Zhou, Trekking. Bookmark the permalink. ← Unity Hyper Jam – Bowling Game in 10 Mins! !